Being a migrant to Melbourne myself, I know how hard it can be sometimes to feel the displacement and homesickness that hits all newcomers to the country. The one thing that I do know cures all, is being reminded by the comforts and familiarity of food from my homeland. When I am incredibly sad, homesick, stressed or just plain ‘ol missing my Madam Mummy and grandparents, I find that replicating the food they cook for me is a good strong cure. What can I say? Food and I are the best of friends! 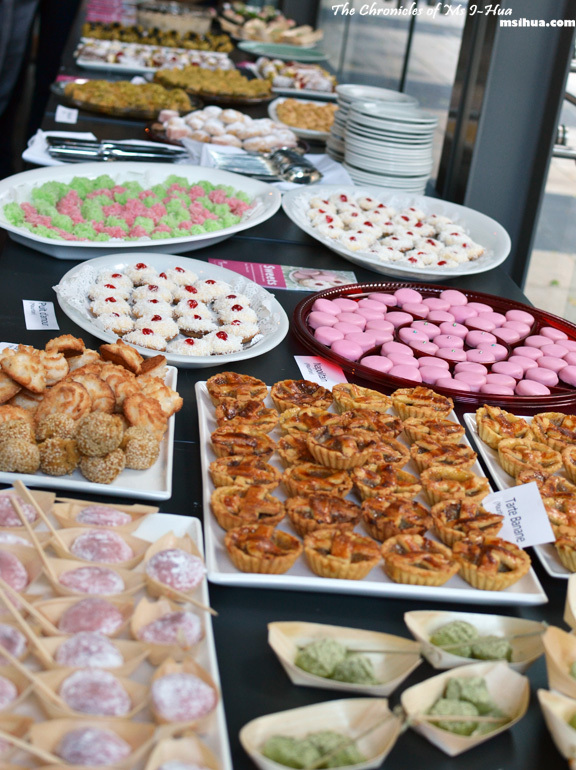 Five different communities from Melbourne have been highlighted to showcase special sweet foods. So this is a great chance for the people of Melbourne to explore the different cultures and sweets from the Indian, Italian, Japanese, Mauritian and Turkish communities. Discover the way in which they are carefully prepared and the significance behind them. 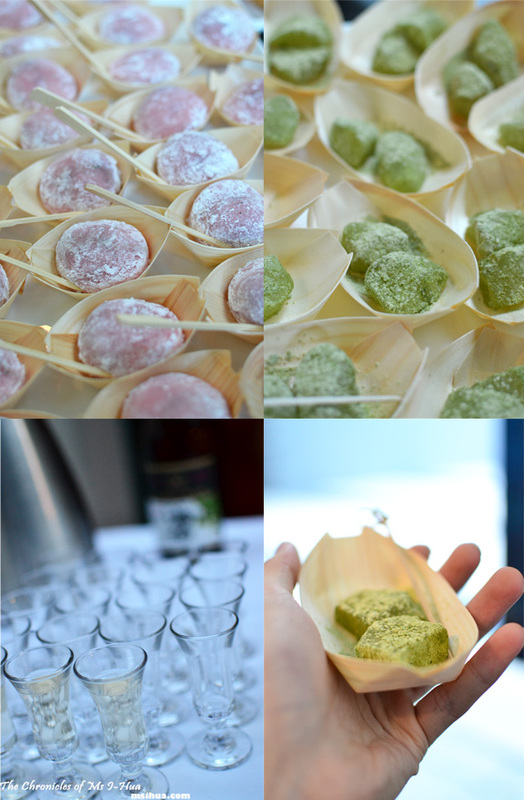 Take for example the delicate wagashi (Japanese sweets) and art of making Nerikiri. Nerikiri is a dessert made to celebrate the changing of seasons. 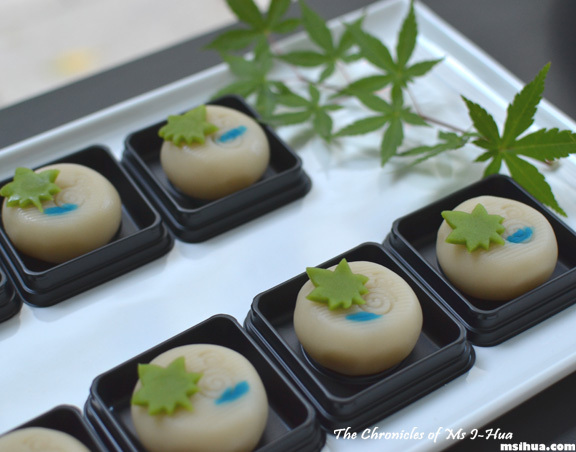 Made from a blend of Gyuhi (a mochi like paste) and Shiroan (Japanese sweet white bean paste), the Nerikiri is not only delicate and beautiful, it is also quite a painstaking art to master. 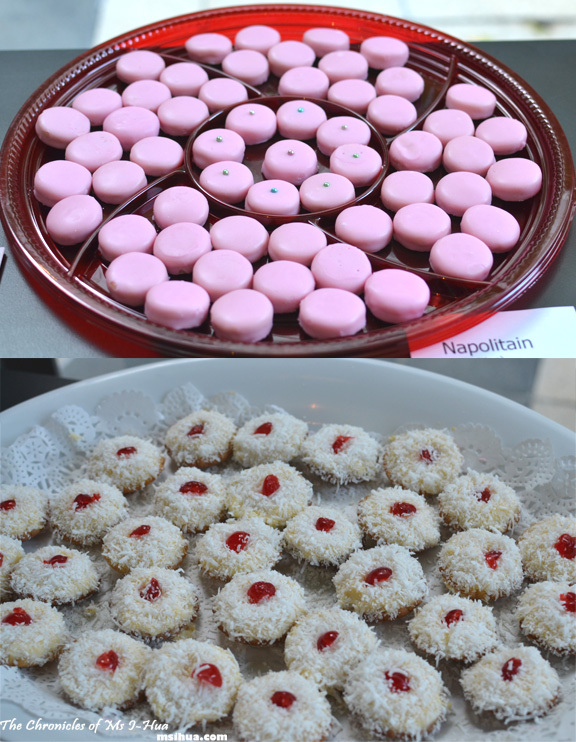 At the Sweets Festival, you not only get to learn about these little titbits, but you also get to try these delightful creations as well as be entertained by performances and demonstrations! Scroll down to see how you could win an exciting double pass to this event! Mauritian Sweets: Gateau Coco, Tarte Banane, Coconut Macarons and Gateau Gingeli. 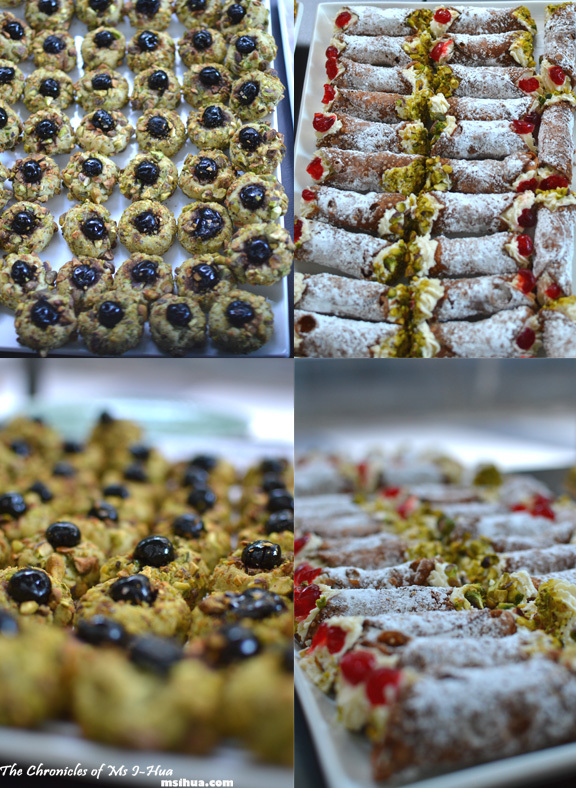 Italian Sweets: Pistachio Biscotti & Cannoli. 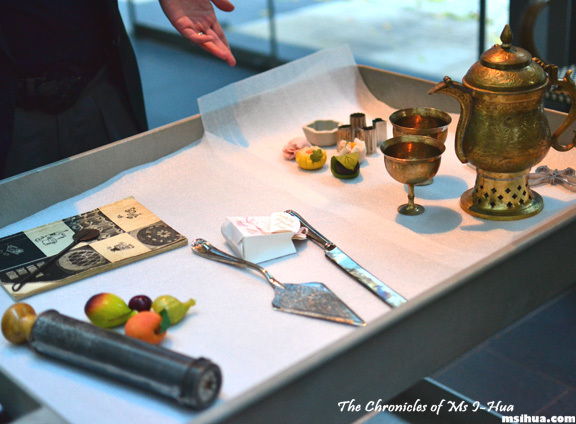 A table of selected “artifacts” donated by the communities partaking in this festival, showcasing the different items connected to sweets, celebrations, and life events. We had Pina Colada, Turkish Coffee, Shoju, Moscato as well as Tea and Coffee. The lovely folks at the Immigration Museum have decided to let me give back to my readers!!! Win a double pass to the Immigration Museum (which you can use to attend the Sweets Festival on Sunday the 18th of March!) and a Sweets Recipe Book. *Please leave a valid email address (emails won’t be published). Competition is open to Australian Residents only. The competition closes Thursday, 8th March 2012 at 6:00pm. The winner will be drawn randomly on Thursday Night, the 8th of March 2012!!! I will have to agree with you! Tiramisu rocks! Oh good one 🙂 Do you know, I don’t think I’ve ever had a proper pav before! Choosing one dessert is near impossible. But, I’m going to have to say pancakes because you can have them for breakfast or dessert and they also come with ice-cream, so it’s like two desserts in one. It’s definitely a hard task for any sweet tooth! I would too! They are such delicate and pretty things! FLy me back to Melbourne? hmmm… my favourite dessert would be tong suis! 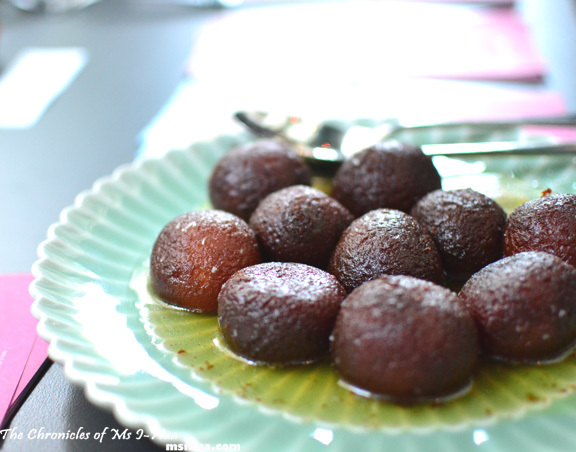 It would be hard to choose one but one of my favourite would be sweet potato ginger tong sui! Cause my mum used to boil them every weekend and it would be the week’s highlight! Hahaha… I was hyper after that! Oh oh oh! I’m so so so JEALOUS!!! I really wanted to go but I’ve just missed it 🙁 Look at all the desserts and goodies sighhh my mouth is watering SO SO SO badly! Thanks for the opportunity I-hua! Awww… if you win you can go! Will you be back in Melbourne? oo o o o o o MEMEMEMEMEMEM EMEMEM! pick me! so sad, i couldnt attend that night – stupid work. Hehehehe…. stupid work… work stinks! Lucky lucky you! Look at all those sweets. Yums yums yums! It’s so hard to choose one dessert! I love all sweets, but especially Greek desserts… I can’t go past galatoboureko (custard and filo pastry) or baklava (nutty filo pastry) or kourabiethes (crescent-shaped shortbread biscuits). They’re all delish! It is hard, but choose you must!!! All I can say is OH MY GOD !! Is this actually possible 😛 THanks for sharing !! thanks for a lovely giveaway! Mine will be a mango sago because it’s fruit and not too sweet! MMmMM… that is a good choice! ANYHOO,my favourite dessert is still the classic apple crumble. I just love warm desserts and anything crunchy, and this certainly ticks the boxes and tickles my fancy! Winston recently posted…PENANG… SINGAPORE… KUCHING! Piggy 😛 ooo… can you please make me one? Chocolate mousse. Because it reminds me of my host sister who taught me to make it when I was in Belgium 20 years ago and of eating at French expat restaurants while living in Cambodia more recently, and is the favourite dessert offering of a friend who lives conveniently just around the corner. That’s interesting that you learnt it in Belgium and rediscovered it at a French restaurant in Cambodia 🙂 Hahaha… wonderful story! What a good review and sneak peek. 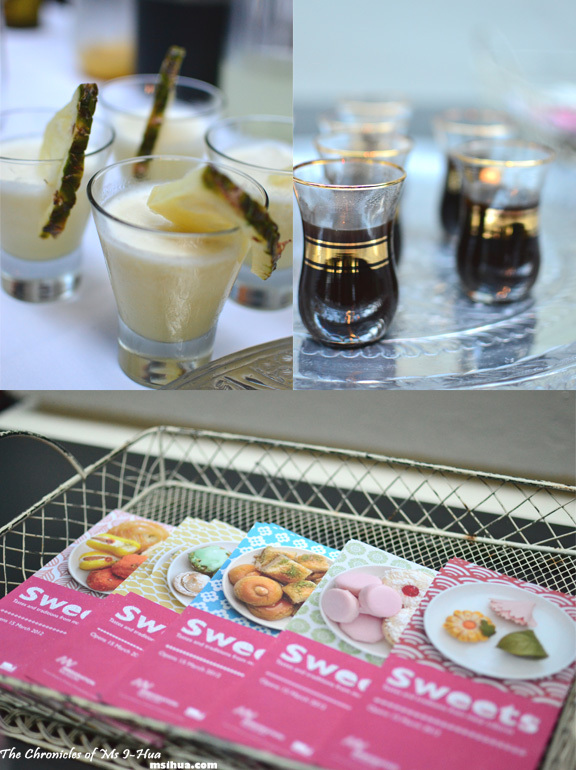 I wouldn’t miss this event for a chance to taste these lovely sweets from the world. I personally like the tiramisu, the coffee and cheese totally make me feel I’m in heaven. This is Sweet Amazing! 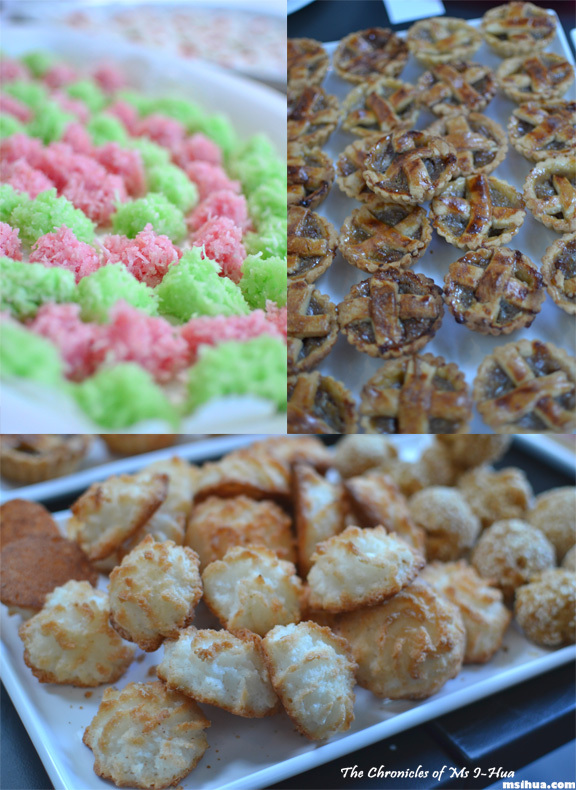 A multi-cultural sweet feast. 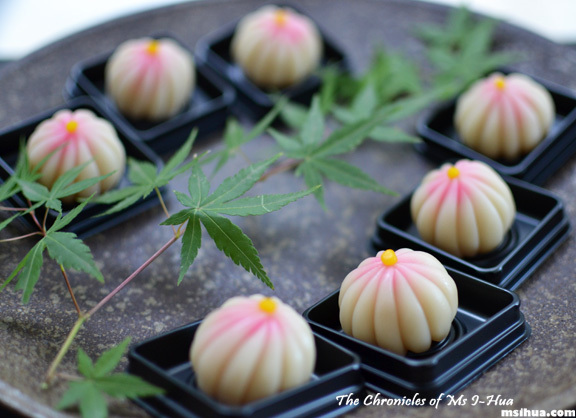 I love the Japanese sweets, even in food preparation they are naturally artistic. 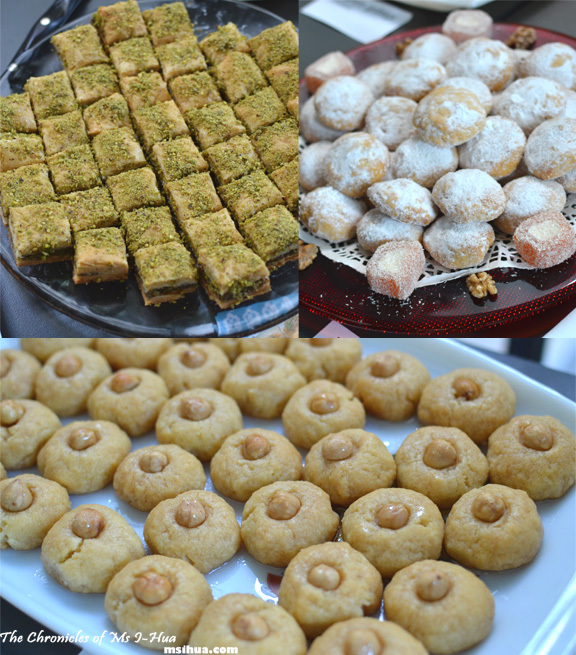 I want to taste the Turkish and Mauritian sweets and most of all I want to win the free passes. What a very lovely festival indeed! A great idea to bring cultures and communities together. Your post makes me feel hungry. I am sure those foods will not disappoint me. They sure are of great taste. It can make you forget the homesickness you feel. 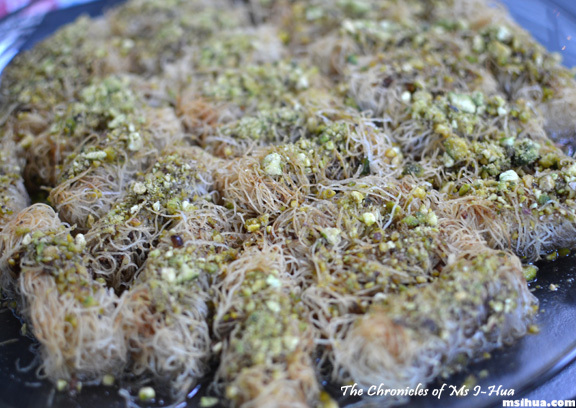 I feel like baklava now… mmmm. I wish you would have provided some napkins with this blog post – I find my mouth watering a little more than I would like. I’ll definitely have to check out the festival out – it sounds yummy. Carly Rein recently posted…Deuda no garantizada préstamo de consolidación: la solución adecuada? Oops! Hahaha I shall! Here you go *virtual napkins*! my favourite dessert is custard bun! 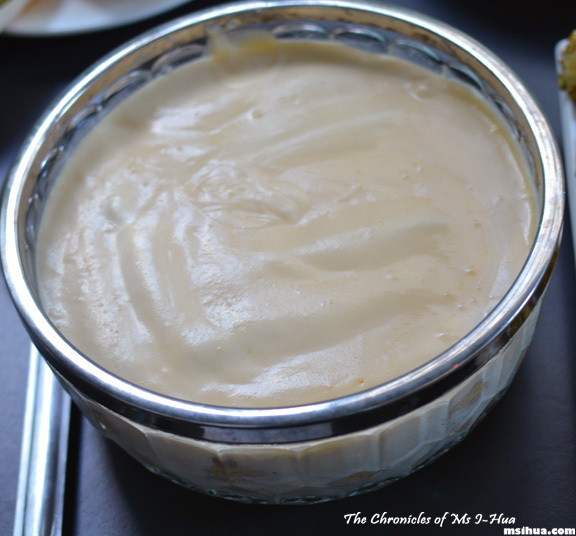 available at all good dim sum joints, i love the sweet custard paired with the good old bun. yums! Oh yummm… i love salted egg buns! My favourite dessert was served at the Yellow Heaven Soup Kitchen in London years ago (it closed down in the 90s). It was a serving of home-made coconut ice-cream mixed with coconut biscuit bits and two dark chocolate Bounty bars stuck in the top. Genius. Definitely ginger souffle, the one I had in Hong Kong to be precise! I like the mild gingery flavour and it’s also very light and not too sweet. Ooo yes I still haven’t made my way to Sushi Zanmai!! 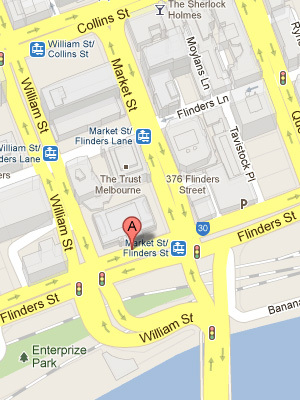 Aww, would have totally entered but I’m not here in Melb *cries* But I will like your Facebook page lol. The Japanese sweets look so delightful! Not all 😛 We did them together! Chocolate fondant – warm, comforting and a crowd pleaser.